Shown here is 2 coats of cirque colours hatch! 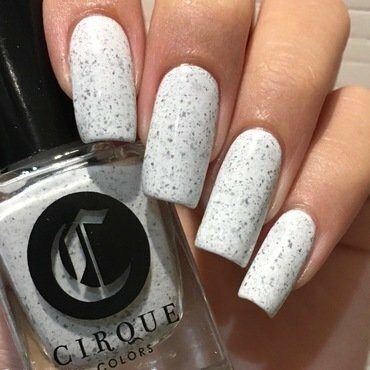 A white crelly with tiny multi Chrome flakes that looks black on the nails. Check out @nails.by.sarahhh on Instagram for more!